Is this the answer to our bridlegate prayers ? Centrewire’s new Worcestershire Hydraulic bridlegate. 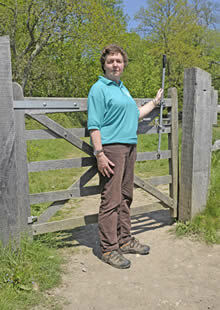 Sue has had feedback from some of the local riders using the Worcestershire Hydraulic Gate and this has been positive. As the gate itself is quite heavy some riders choose to pull it towards them but there is plenty of time to get through. 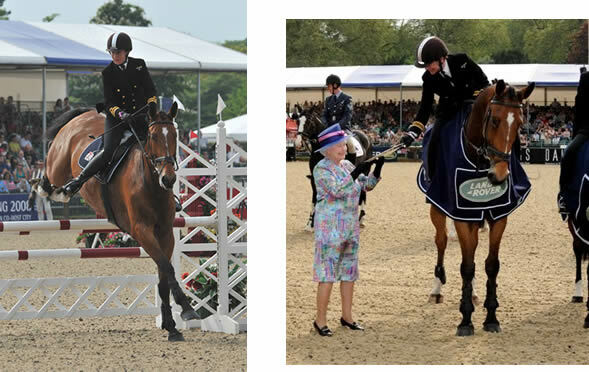 Joy Pycroft tested it for us riding Savannah, a six-year-old Dutch Warmblood Cob, who has been in her care since she was three-years old but who she has only owned for 18 months. “She’s new to gates,” Joy said. Another local rider, Kate Welch (BHS AI), also tested the new bridleway gate for us. Again, she had no problems navigating it even when she was leading a second horse, which is probably not surprising because she has just left the Royal Navy after serving 22 years as a logistics officer to open a small livery and competition/training yard at Jaybees Farm in the village of Woodmancote near Emsworth, Hampshire. Says Kate, "It’s a huge improvement on the dreadful gate we had previously and so much more efficient. You nearly always had to dismount before which was not always practical, particularly when on a youngster who may have been worried about or spooked by the sheep in the adjacent field, or when you’re on an 18hh giant of a horse! 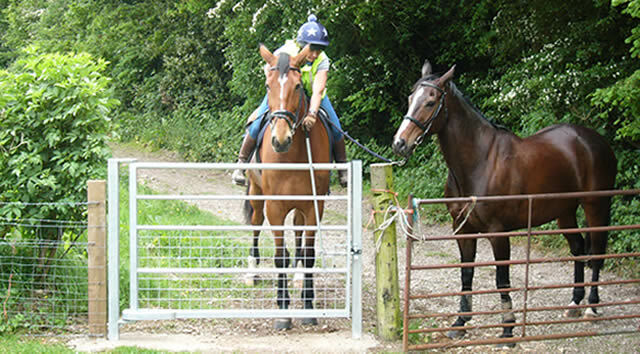 Kate riding Gus (18 hh ISH) and leading Louis (16.3 TB) and the new gate. Next to it is what Kate calls “the awful gate we used to have to contend with”. Tell us whether the Worcestershire gate is the answer to our bridlegate prayers?